New and unread publisher overstock with remainder mark. Twin Towers Down, New Hope on the Rise When the Twin Towers fell, a whole new world of fear and doubt emerged. "Where is God in all of this?" we ask. To be constantly on guard against terrorist attacks, not to mention crises that hit us on a personal level, is exhausting. But in the midst of this "new normal" world of fear, one thing remains the same: God still reigns. While we may be tempted to turn to food, shopping, busyness, even family, God is the only answer we can count on. He is our source for peace, comfort, and confidence in the midst of chaos. 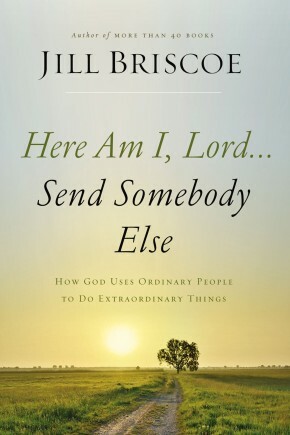 Jill Briscoe encourages the hurting and weary to run unencumbered into the arms of God. And this all-encompassing peace that may seem so elusive right now will become yours to stay. Escape Fear Expand Faith Embrace the Future Where is God in the midst of our world’s catastrophic events? Where is God in the midst of our deepest pain? We may think we’re getting along with God, until a 9/11 happens. Global or personal, tragedy wreaks havoc on our souls. How are you supposed to trust the One letting it all happen? The New Normal won’t give you pat answers. But it will guide you to a place of security in the face of inexplicable calamity. By being honest about your anxieties, willing to respond to God’s instruction, and ready to take a leap of faith, you’ll find a new, hope-filled future waiting for you. It’s the new normal you’ve been longing for. Story Behind the Book"I was in the air on September 11, 2001 . More than anything for me, the event served as a wake up call to evangelism," says Briscoe. "I realized the time is short and the days are evil—the Lord is coming soon! So let’s seize the day!" Based on a sermon she gave at Elmbrook Church soon after that day etched itself in history, The New Normal speaks to an America in shock, but with a message that is even more pertinent today.